so, picking up from part the one. we are making bread from this recipe. you can keep the dough in the fridge for a week or so. 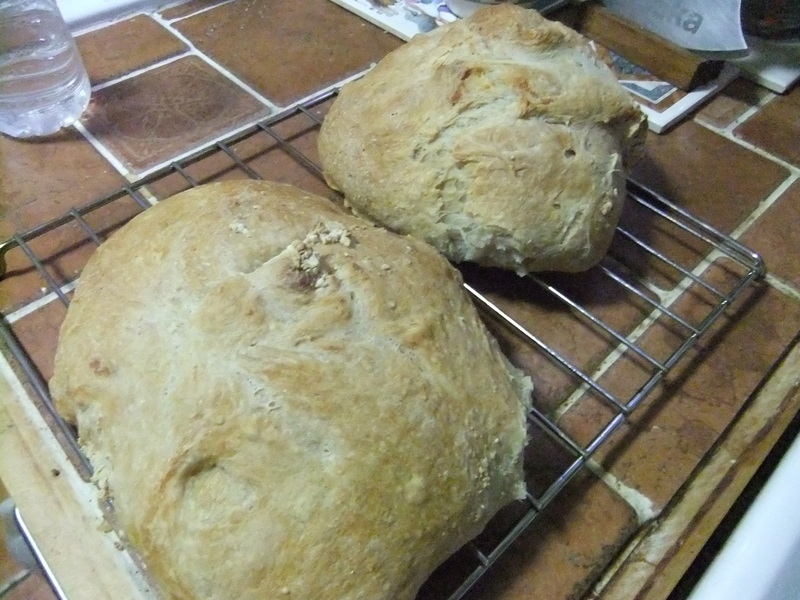 decided to make bread after two days. 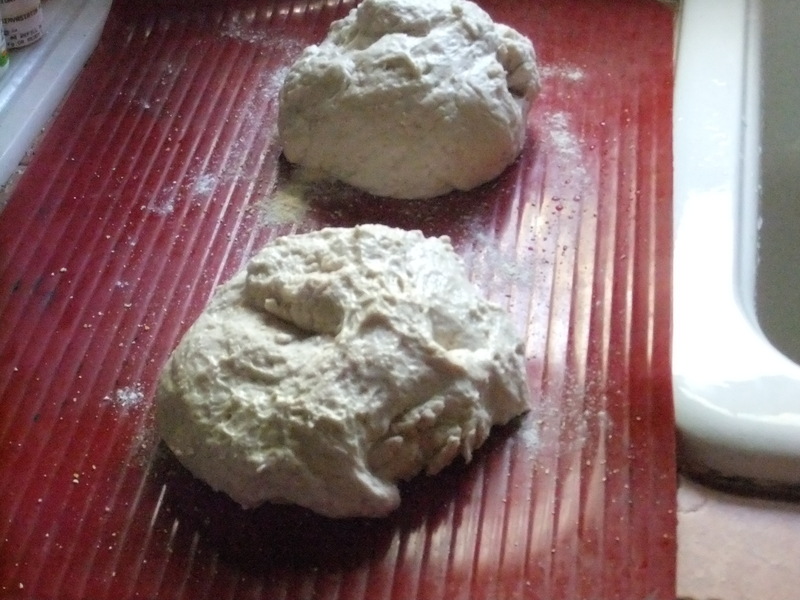 place the dough on a piece of parchment (if you’re going to use a baking stone); or a lightly greased or parchment-lined baking sheet. 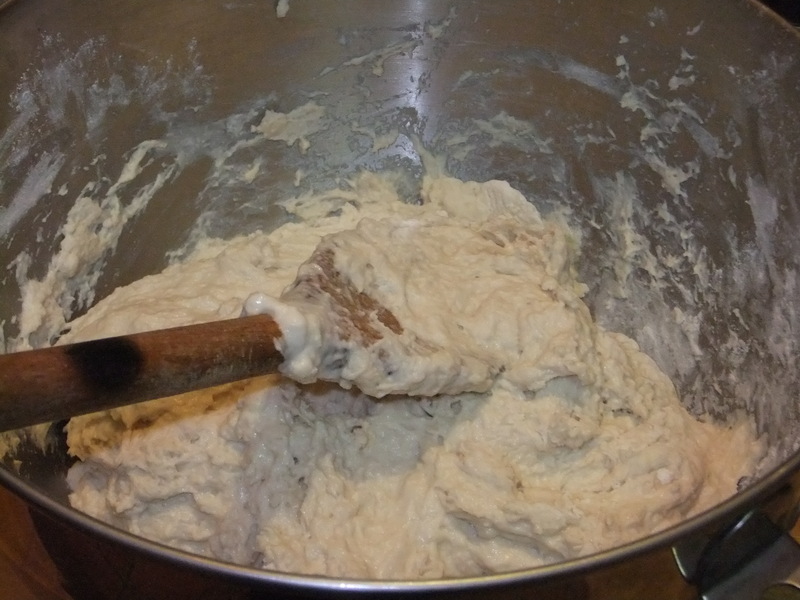 let the dough rest for about an hour – it probably wont’ rise but spread a bit sideways. about halfway through turn on the oven and set it to 450F , also place a shallow metal or cast iron pan in the lowest rack of the oven. 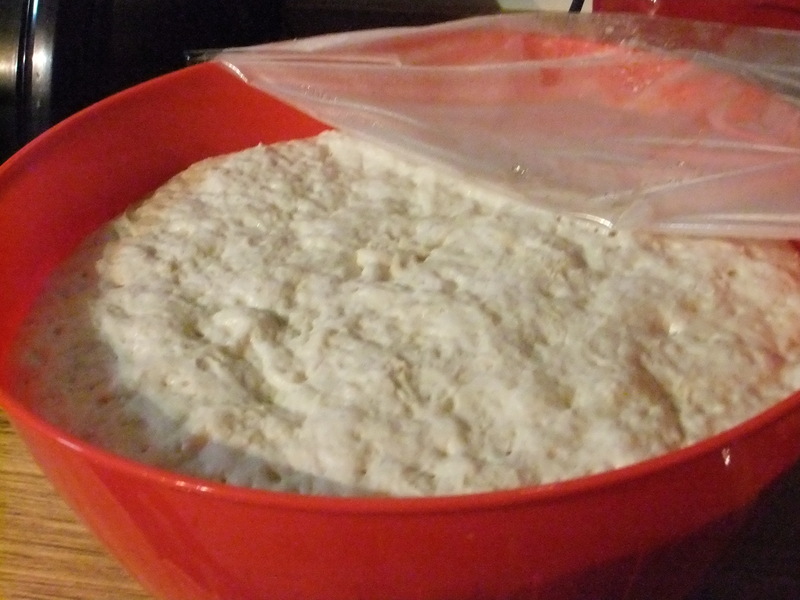 right before placing in the oven, slash the top of the dough 2-3 times with a sharp knife, it will deflate a bit. 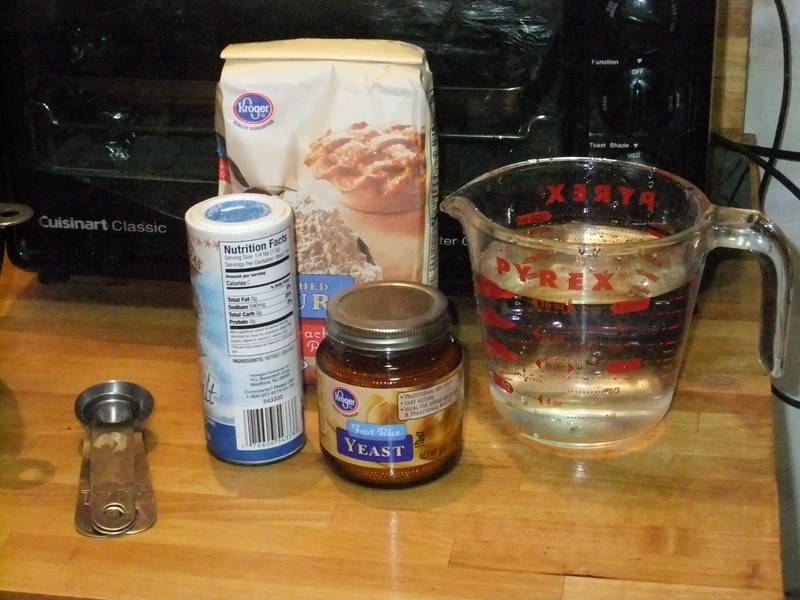 place dough on the baking stone or cookie sheet in the middle rack of the oven and add a cup of hot water to the shallow rack below – it will steam. close the oven door and let bread bake 30-35 minutes, until is golden brown. 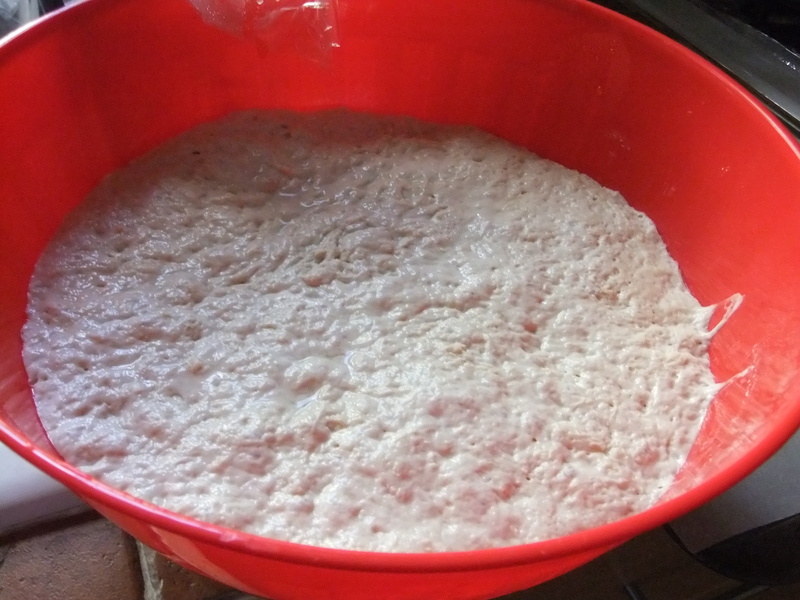 once all ingredients are combined (it will be a very rough dough – nothing pretty at this point), cover and let sit at room temperature for about two hours. 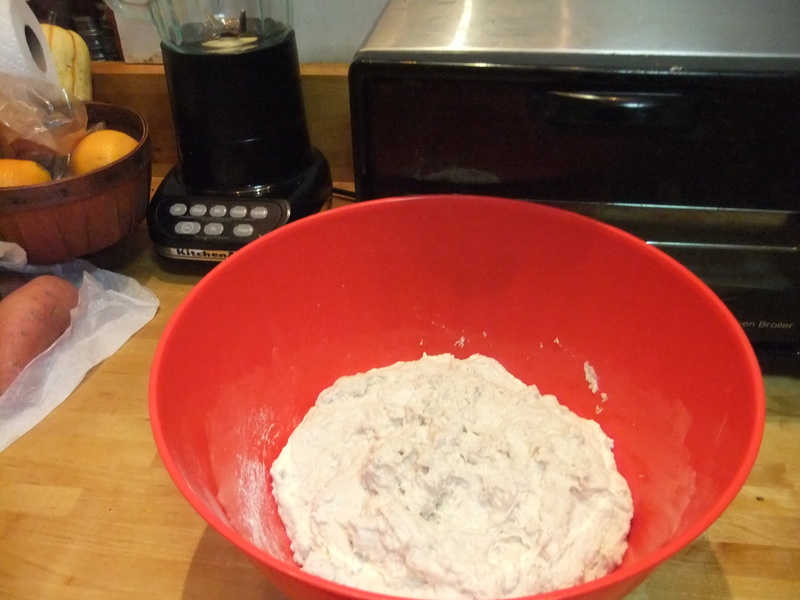 after two hours, move the dough to the fridge and let it sit there until about one hour before you want to bake bread.